We once had to make a best guess about our dog’s ancestry. Now, with the availability of DNA tests, there’s no need to wonder. A canine DNA test can shed some insight on your dog’s family tree if you own a mixed breed or confirm the genealogy of a purebred, and everything in-between! 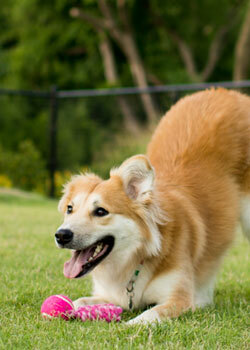 But gaining knowledge of why your pooch looks the way he does is not the only useful benefit of dog DNA testing. Aside from providing a breakdown of the breeds that can be found in your dog, many tests are able to report on genetic health information, screening canine DNA samples for specific diseases and risk of predisposition to deficiencies connected to the blood, immune, hormonal, vision, kidney and bladder, brain and spinal cord, heart, muscular, metabolic, gastrointestinal, neuromuscular, skin and connective tissue and skeletal systems, among others. While the results aren’t as accurate as a true diagnostic test, the material that is provided can help owners and veterinarians predict or rule out certain disorders and come to a correct diagnosis more quickly. Knowing if your dog is more prone to breed-specific conditions can help you take the appropriate preventative measures and make more informed decisions for his special needs to avoid potential health problems. The ability to identify your dog’s breed can also explain traits and habits that may have otherwise left you scratching your head. While all dogs have their own personalities, different breeds tend to have characteristics that define them. For instance, dogs which fall into the “herding” group, like border collies and shepherds, were originally bred to herd cattle and sheep by stalking, staring, nipping and barking. Because these types of canines are athletic, intelligent and diligent, it’s best to make sure they get plenty of exercise and are stimulated mentally to prevent them from becoming bored. The American Kennel Club (AKC) places dog breeds within seven groups to account for different behaviors: herding, hound, non-sporting, sporting, terrier, toy and working. Knowing the genetic behavior of your dog can assist in the ways that you live, train, and work with your dog. 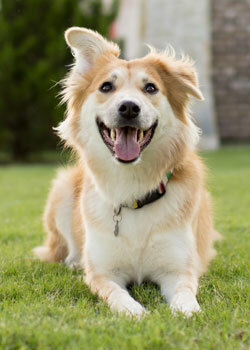 Be sure to research and understand the breeds discovered in the findings of your dog’s DNA results. Knowledge is essential to helping our companions live longer, healthier lives. Dogs have about 20,000-25,000 genes that are located along 78 chromosomes – compared to only 46 in humans. Dog DNA kits contain everything you need to gather and prepare a sample for testing. The process is rather simple, and most commonly involves swabbing the inside of your dog’s cheek with a special brush to collect cheek cells in his saliva. Once the sample has been collected, you mail it to the address provided for analysis. At the lab, the DNA is extracted and studied for genetic markers that are compared against both a breed database and with other dogs. The accuracy largely depends on the number of markers your dog’s DNA is measured against and the amount of breeds in the panel. Some tests’ breed panels only contain 50-60 breeds, and will not be as detailed as those with 100 breeds or more, so be sure to research the diversity of samples being used in the algorithm to generate results. Typically, it takes several weeks for the analysis to be completed. Have you or a friend doggy DNA tested your pooch? If so, was it worth finding out and would you recommend it to other dog owners? Connect with us on social media to join in on the conversation!